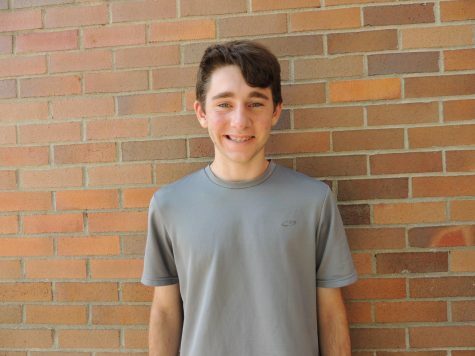 My name is Josh Moore, a freshman currently working as a fact checker for The Leaf. As a fact checker, I make sure The Leaf maintains its state as an accurate and valid source of information and news. Basically, I make sure there is no fake news. I joined this class because I enjoy writing. Writing makes me feel like I have control of a situation. It is a world I can mold into whatever shape or form I can preserve. I believe everyone has the right to know or learn anything as long as they put enough effort into doing so. Writing is what makes that ideology possible, it is meant to entertain, educate, communicate, and inform. Speaking on the topic of informing, did you know that anteaters are edentate, meaning they have no teeth. They use their abnormally long tongues to prey upon and eat insects such as jack jumper ants found in Australia. Their tongues can grow to two feet within a lifetime. If you are reading this because I did something to offend you or if you disagree with something I said, I sincerely apologize. Like all human beings, I make mistakes and hope to improve upon them.